This ultra-modern mare comes with a wonderful neckline and very long legs. 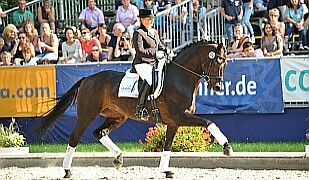 Her lovely gaits, in particular, her active hind leg, are breathtaking! She is a gem who charms us with her lovely temperament and uncomplicated nature. This is true championship quality, and she shows it! Unbroken because she has had as smal filly a injury, but has no problems with that by breeding. So she has actuell a beautiful filly by Jazzman at her and is in foal to the Champion Stallion Dressage the Westphalian main licensing 2017 "Fashion in Black" (For Romance/Lauris Crusador/Donnerhall) for 2019. Great rideability and lots of impulsion and elegance out of this dam line ! 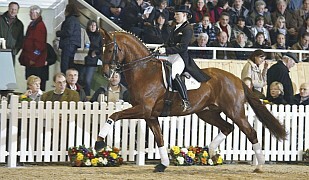 Also ideal for the breeding beginner which are looking for a very reliable horse with excellent, sweet temperament!. For breeders, this is a true gem! 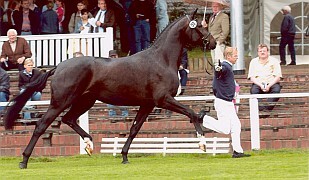 Sire Dr. Jackson was 11 years under the top 1 % of the german breeding list and has a great name as rideability maker under the sons of the Donnerhall line. Diamond Hit (Brookhouse Stud Elmar Hindley), is the grand movement-maker and one of the best horses from Brookhouse Stud (Emma Hindle) and the half-brother to Sandro Hit (Paul Schockemöhle), who is a World Vice-Champion, PSG dressage winner and qualified for the Olympics as well as a top producer of dressage horses. And Rohdiamant/Lisa Wilcox (one of the best dressage horse producers in Germany) adds even more star power to this already impressive pedigree. The dam line also been carefully bred for quality and success. 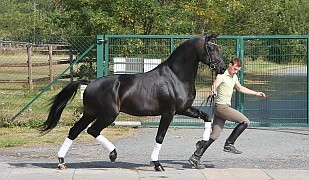 These valuable blood lines (Hanoverian line 620, the Cadarina line) are widely known for excellent licensed stallions, e.g. 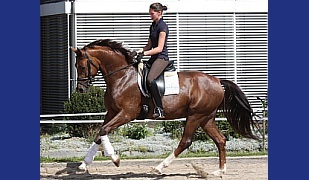 Libanon, Monarch, Caracas, Donatelli I and II, Placido, Lanthanid (Denmark), Dobrock, Picadilly (Hanover), Daimler, Grandus and top sport horses like the Olympic horse Prestige (Franke Sloothaak), plus numerous highly successful dressage horses. Considering her truly amazing pedigree, linebred with 2x Rohdiamant, 2x Pik Bube, plus full sister to Don Schufro as well as Don Schufro himself, this mare is destined for success. 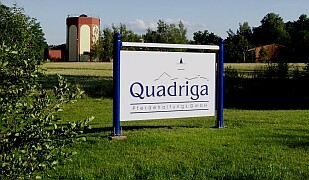 His sisters are premium mares and successful in young horses shows. This beautiful young mare is ideal for a breeder looking to excel at the highest breeding level!